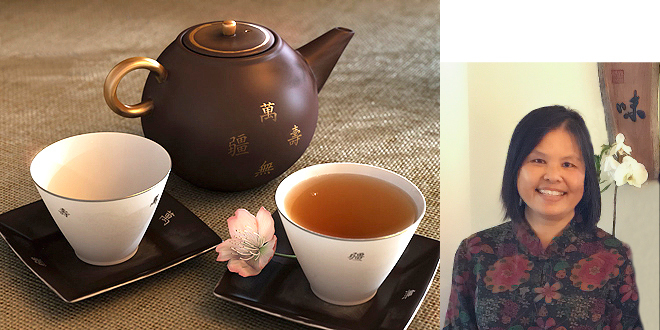 Join Chunman Gissing at the Seattle Chinese Garden for the Love of Tea event March 23. Chunman Gissing is an educator with great depth of knowledge about Chinese culture and special expertise and passion for tea culture. She has presented her Love of Tea program for numerous educational institutions and organizations. Mail a check payble to Seattle Chinese Garden to the address above. It must arrive by March 22. Mail no later than March 20 as mail first goes to the college mail room. 206-934-5219 or info@seattlechinesegarden.org (Tuesday, Wednesday, Friday - 11 am to 5 pm). Drive in the NORTH Entrance at South Seattle College. The CHAN Education Center is the first building on your left. You can park in the small lot by the Chan Center or in the large parking lot. PARKING: $3 -- ticket dispenser is just past the kiosk at the north entrance road. Questions? Please contact the Garden office as noted above.